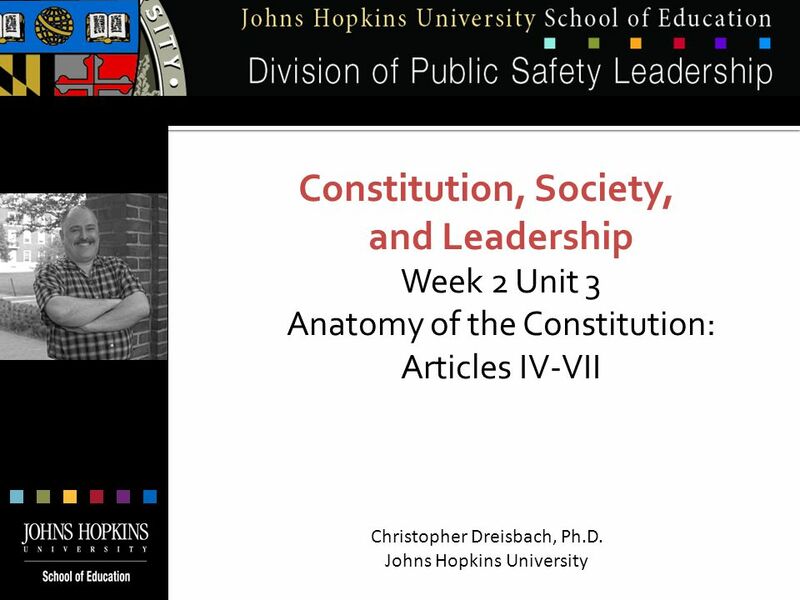 Download ppt "Constitution, Society, and Leadership Week 2 Unit 3 Anatomy of the Constitution: Articles IV-VII Christopher Dreisbach, Ph.D. Johns Hopkins University." How do the different levels of government cooperate? 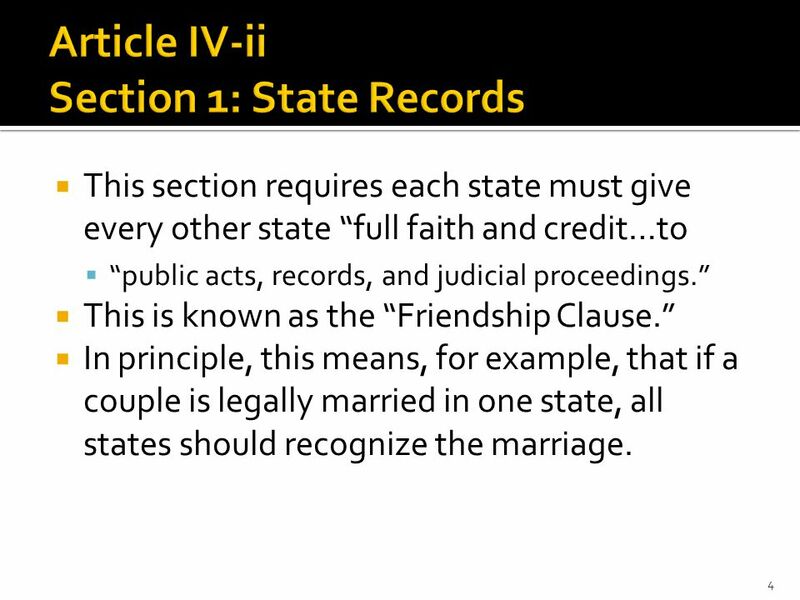 T HE C ONSTITUTION : A RTICLES IV-VII (4- 7). 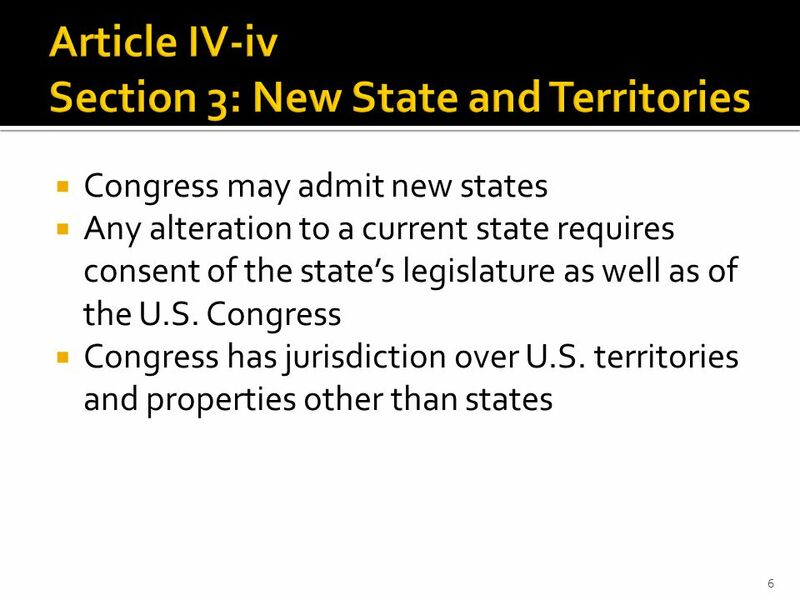 A RTICLE IV (4) Concerns the States All states will honor the laws of other states. If you get married in. 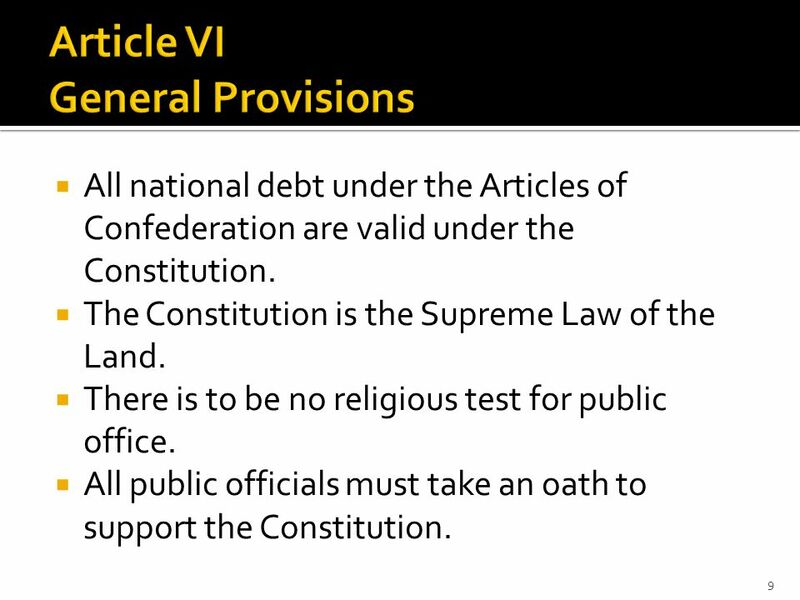 The Six Principles of The Constitution. 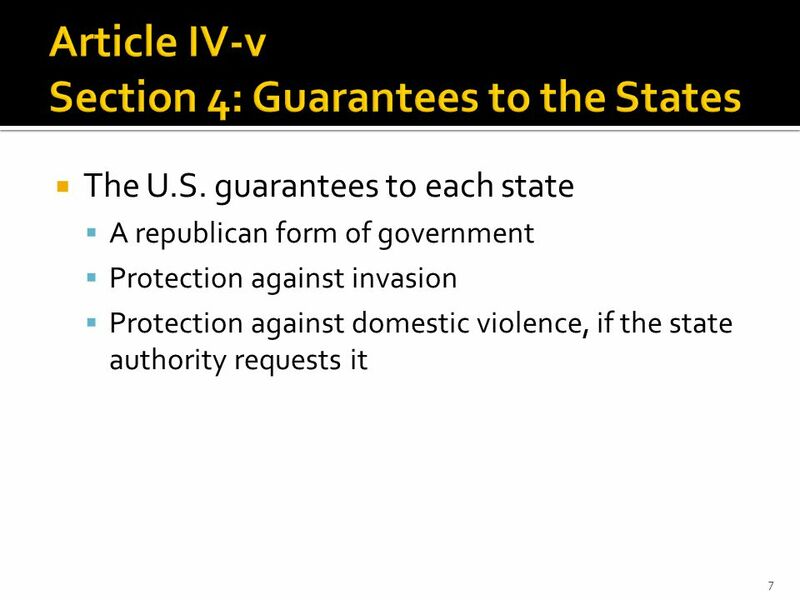 Why Federalism? Most of the Framers were dedicated to the idea of limited government. They were convinced: That governmental power poses a threat to individual. 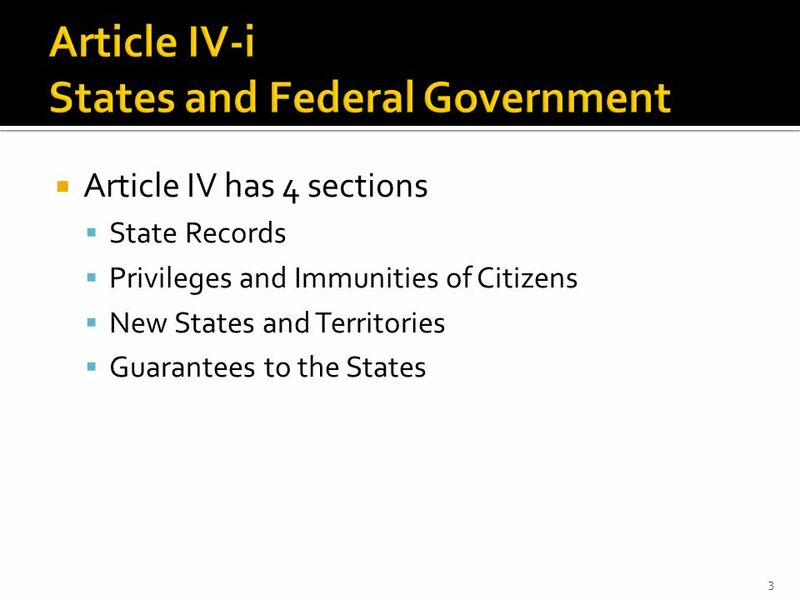 Chapter V, Article IV – The Federal System Terms and Cases Module V.
The US Constitution. Article 1: The Legislative Branch Makes laws The Senate – 2 Senators from each state – Elected by the House of Representatives (changed. Articles of the Constitution A Brief Summary. Article I Creates the Legislative Branch O Article 1 Section: O 1 – Establishes the legislature – Congress. Government Powers (Division of Powers) National Government State Government Powers Granted Powers Denied Delegated Powers Reserved Powers Concurrent Powers. 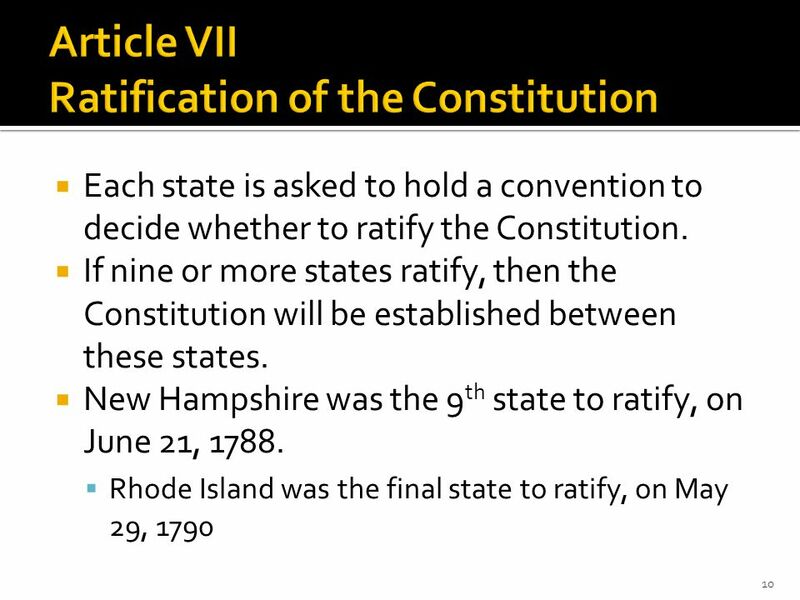 The U.S. Constitution January 27, What is a constitution? A ___________ is a document that embodies the fundamental principles of a government of. 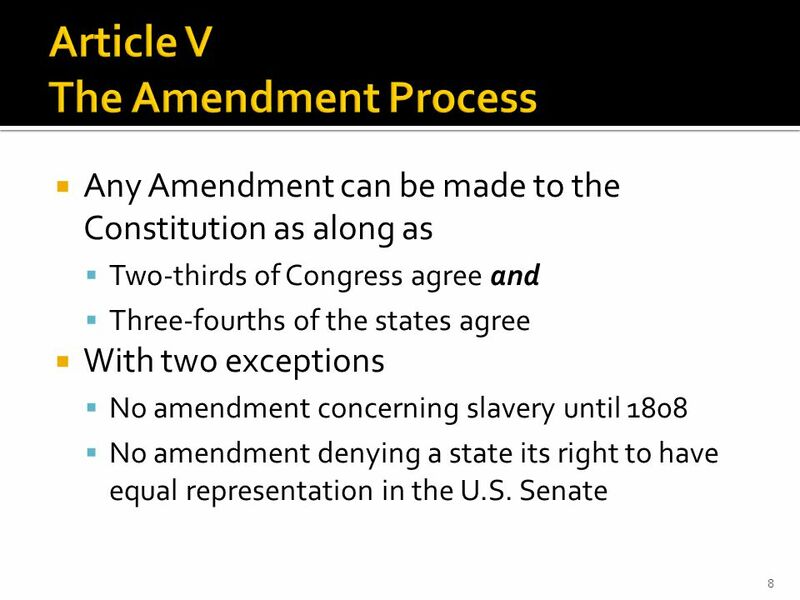 What does the 27 th amendment establish? ALD? Congress cannot give itself a pay raise during its current session Accountability Limited Government. 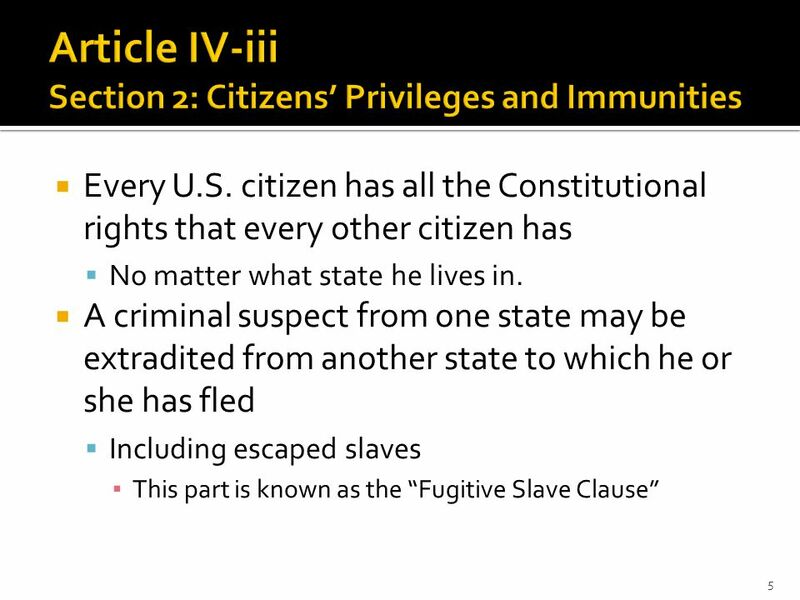 Articles III-VII. 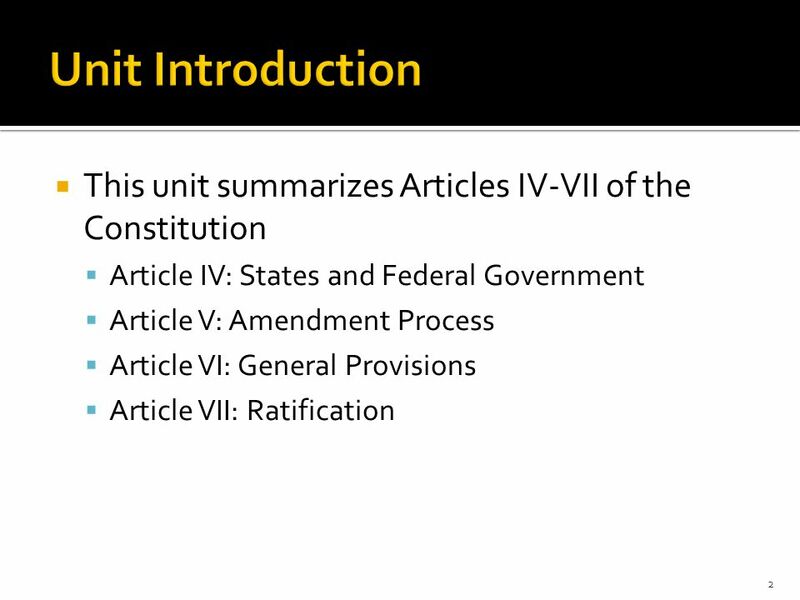 Objectives Learn the purpose and workings of Articles III- VII of the Constitution.